A wonderland of flora and fauna lies beneath the waves of the coast’s five marine reserves—making them treasure troves for conservation and scientific research. I ease myself down a steep cliff dotted with purple lupine and stumble across a cobble beach to the eastern edge of the Redfish Rocks Marine Reserve. Waves lap the shore and offshore islands turn golden in the afternoon light. It’s pretty, but none of it indicates why this specific location was chosen as a marine reserve. What I really need is an air tank, a wetsuit, and fins to go below the waves. But SCUBA diving is not my gig, so I do the next best thing I can think of—I click on the Oregon Marine Reserves website (oregonmarinereserves.com) and watch a video entitled Beneath the Surface: Otter Rock Marine Reserve. Finally, I can see what is special about Redfish Rocks. Kelp fronds rock back and forth with the pull of each wave. A harbor seal floats lazily by. Rockfish hover among kelp blades. A Pacific giant octopus crawls along the rocks. Pink coralline algae and sponges carpet the seafloor, and there’s lots of “stuff” floating in the water. Most of the stuff is tiny plants and animals called phytoplankton and zooplankton that the video says is important because it is food for many marine organisms. It’s both a captivatingly beautiful and bizarre landscape (or should I say seascape?) that reminds me of a surrealist painting. But Oregon’s five marine reserves—Cape Falcon, Cascade Head, Otter Rock, Cape Perpetua, and Redfish Rocks—were set aside for far more than aesthetics. Establishing the five reserves (which began with Redfish Rocks and Otter Rock in 2012, and ended with Cape Falcon Marine Reserve in 2016) was not without controversy. Many who made their living from the sea were worried about the loss of fishing opportunities. 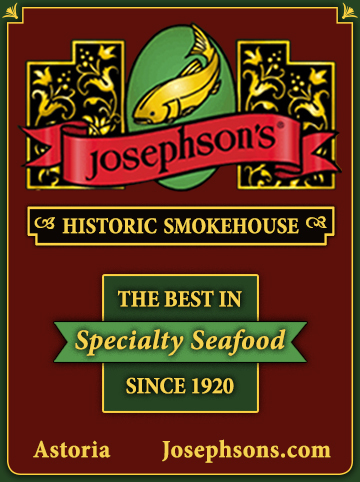 Some believed that the reserves were not big enough to see real results in preserving fish species and populations. In order to end up with a plan that most people could agree with, local community members, rather than federal bureaucrats or state resource managers, drew the lines that became the reserve boundaries. What that means for Redfish Rocks is utilizing local fishermen’s knowledge and resources for the research and hosting Redfish Rocks on the Docks, an event that connects the public to scientists, fishermen, and others who have a stake in the reserve. Now, the work within Redfish and all of the reserves consists of monitoring what happens both in the water and on land. Will fish populations and the number of species within a reserve increase over time? Will the presence of reserves negatively or positively impact users such as fishermen and coastal communities? Answering those questions may take many years. But already, the research has yielded insights into the life cycles and habits of rockfish. Surprisingly, three new species of seaweed have been discovered in Oregon while monitoring in the reserves. What I realized, essentially, is that marine reserves are complicated. But that makes sense, because the ocean is complicated, and the communities that depend on it are complicated as well. And like the ocean, the reserves, are, for the present, not static. 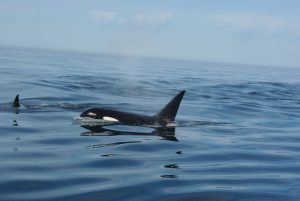 Oregon’s marine reserves will be up for review in 2023, which means that at that time, they may be enlarged, made smaller, or disregarded altogether, depending on research results and the opinions of Oregonians. Like the tides, eddies, and currents that ebb and flow within these protected places, the future of Oregon’s marine reserves is fluid. What is not complicated or controversial is that these are spectacular places to learn about the nearshore ocean. 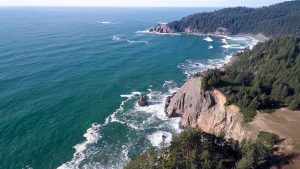 The Cape Falcon Marine Reserve, located off the coast near Manzanita, contains the deepest water—more than 200 feet in some spots—of all the reserves. Hiking trails atop Cape Falcon provide excellent views. Underwater are rocky intertidal habitats, isolated patches of rocky reef, and extensive sand areas that are habitat for crab and other soft-bottom species. 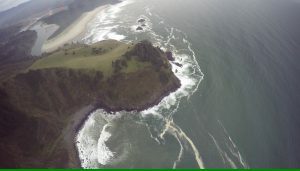 The Cascade Head Marine Reserve stretches between Cascade Head and Lincoln City. 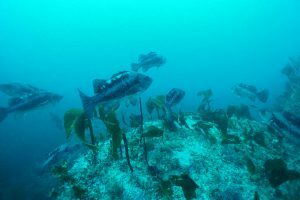 The reserve contains extensive rocky reefs, patches of kelp that provide habitat for many rockfish species, and intertidal areas with invertebrates such as giant plumose anemones. There are more than two dozen important seabird nesting sites within the reserve. 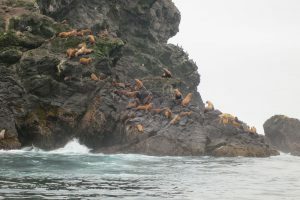 Rocks and coves in the reserve are frequent resting areas for Steller sea lions and harbor seals. 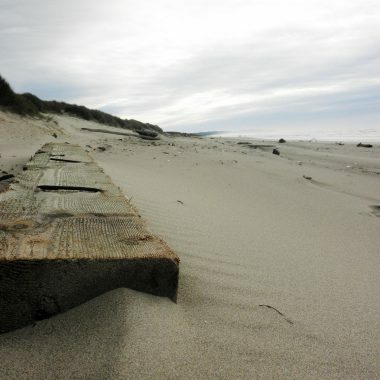 Roads End State Recreation Site at the north end of Lincoln City will get visitors to the shore of the marine reserve and a boat launch at Knight Park at the mouth of the Salmon River provides access to the Cascade Head North MPA area. “On calm days, kayakers can paddle out the Salmon River,” says Adkisson. The Nature Conservancy hiking trail on Cascade Head offers views of the entire reserve. The Otter Rock Marine Reserve, located north of Newport, is Oregon’s smallest marine reserve at 1.2 square miles. Its eastern shore is accessed via the north from Devils Punchbowl State Natural Area, where visitors can explore tidepools, get a glimpse of resting harbor seals or sea lions, or try surfing or paddleboarding on a calm day. The reserve can also be accessed from the south at Beverly Beach. Nesting sites for several seabird colonies are located within the reserve. Underwater are shallow rocky reefs, kelp beds, and sand dollar beds. 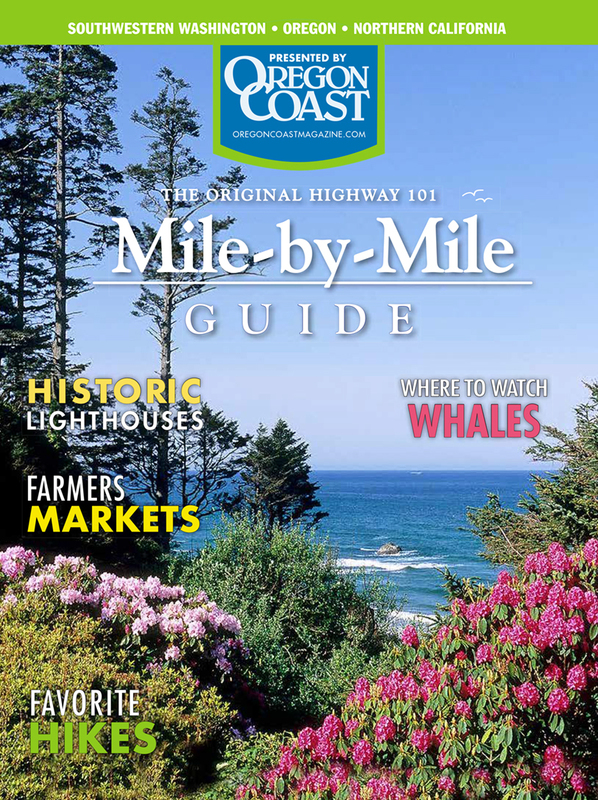 To see the entire reserve, Adkisson recommends journeying to the top of Cape Foulweather (go to the Otter Crest State Scenic Viewpoint from Highway 101 and look to the south). The Cape Perpetua Marine Reserve, at 14 square miles, is Oregon’s largest. The reserve and associated MPAs and Seabird Protection Area are located between Yachats and Florence. With more than half a dozen waysides, state parks, and Forest Service-managed recreational areas shore-side of this reserve, it may be one of the most accessible of the group. There are ample opportunities to hike, explore tidepools, or find views overlooking the reserve at the Cape Perpetua Scenic Area. “Cape Perpetua’s claim to fame is the diversity of tidepool life—in fact, this area boasts some of the most diverse intertidal life in the entire Pacific Northwest,” says Adkisson. 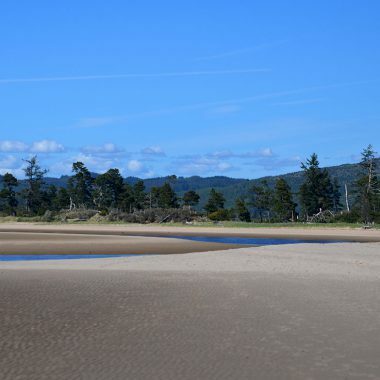 Other ideal stops are Neptune State Scenic Viewpoint, Strawberry Hill, and Stonefield Beach/Tenmile Creek. In and around Sea Lion Caves (part of the Cape Perpetua MPA) is a good place to see Steller sea lions. The reserve is connected onshore to rainforest that is home to Oregon’s highest concentration of marbled murrelets, a threatened seabird that nests in old-growth trees and then goes out to sea to forage for fish. Other seabirds have nesting colonies in the reserve as well. Underwater, the reserve is a mix of shallow intertidal and deeper offshore habitats that contain a wide range of fish species, including rockfish, flatfish, and sharks, along with abundant crab and even the occasional squid. 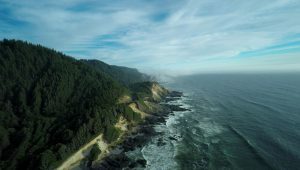 The Cape Perpetua Land-Sea Symposium, held in November in Yachats, is the perfect time to learn about research in the reserve. 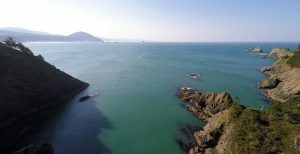 Just a couple miles south of Port Orford, the Redfish Rocks Marine Reserve stretches from the shore out into the ocean past several islands. 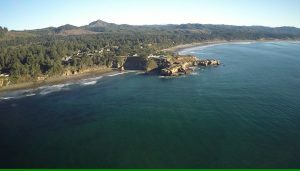 There are good views of it from in town at Battle Rock or at several pullouts along Highway 101 between Port Orford and Humbug Mountain. The five large offshore islands—part of the Oregon Islands National Wildlife Refuge—are surrounded by the reserve. Seabirds and marine mammals use both the islands and the waters of the reserve for breeding, feeding, and resting. 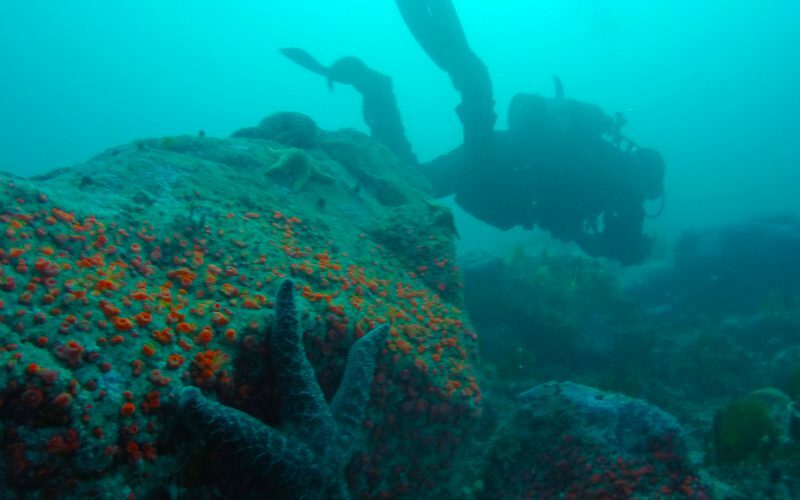 Underwater, the reserve is mostly rocky reef and cobble/boulder fields, with kelp beds that contain a variety of rockfish species and invertebrates such as sea urchins. The western side of the reserve and MPA has a mostly sandy seafloor, making it ideal habitat for crab and flatfish. There aren’t many places to experience this reserve up close, unless you are volunteering for research or SCUBA diving.